Indian economists are sceptical about Russia’s rating downgrade to “junk” status by S&P international ratings agency and have underlined that the well-being of a country does not rely on its ratings. Indian economists do not take Russia’s rating downgrade to “junk” status by S&P seriously, Jayshree Sengupta, a senior fellow at Observer Research Foundation, a Delhi-headquartered think tank, told RIA Novosti, whose English edition is now known as Sputnik News. 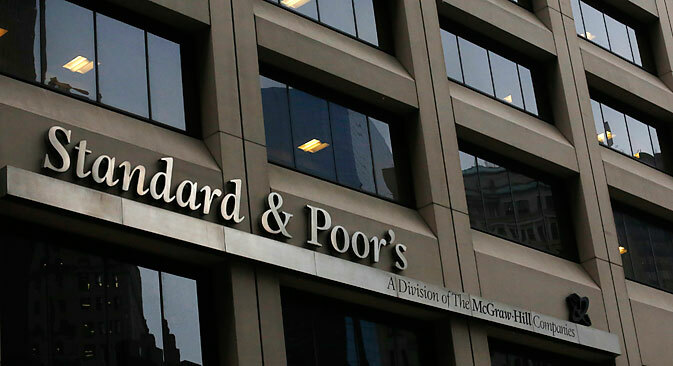 S&P international ratings agency lowered the Russian Federation’s sovereign credit rating on January 26 to the “speculative” level of BB+ from what is considered to be an investment rating of BBB-, a negative prediction for Russia’s economy. The ratings agency explained that their decision was based on Russia’s monetary policy becoming less flexible and that a further deterioration is possible. Furthermore, the agency indicated that the potential for economic growth in the Russian Federation has sharply worsened. “We don’t take this very seriously in India. The wellbeing of a country does not depend on its ratings,” said the expert. Furthermore, Sengupta believes that there was insufficient reason to downgrade Russia’s rating. “S&P are completely wrong, in my opinion. What is the basis for downgrading their rating? The drop in the price of oil has lowered the share market, and, probably, led to the government debt, but this is temporary. Usually the reasons for a rating downgrade are government debt and stock market indicators. However, I am not aware of problems with Russia’s external accounts," said Sengupta. In this case, she observed that capital flight and a drop in foreign investment has not happened in Russia. “A lot of people are withdrawing money from Russia due to uncertainties in the investment climate”, she suggested, observing that she doesn’t know of Indian companies which would withdraw assets from the Russian Federation. In the case of a negative scenario, a significant drop in the value of the ruble can be expected. Sengupta added that the likelihood of companies defaulting on loans is low. "The scenario of a default is extremely unlikely, companies can take out credit, they can be granted subsidies, for example, the New Development Bank established by BRICS can help them in this,” she said. The expert also sees the influence of foreign policy trends and economic pressure from western countries in the current situation. "The West is trying to present Russia as a country sinking to the bottom. But Russia is extremely wealthy. Over the last few years, a lot of money has come to Russia, steps have been taken to increase the level of trust among investors. How can all of this disappear in a single moment?” the expert asked. In recent years, the S&P’s credibility has come under a cloud. The US Justice Department on February 4, 2013, sued S&P for $5 billion. The department accused the agency of giving inflated ratings on mortgage bonds for its clients shortly before the global financial crisis of 2008. As a result of the increased ratings, banks and other investors made investments in high risk bonds and incurred losses at a significantly higher rate. The penalties were the first disciplinary punishment of a ratings agency since the crisis began. Previously, none of the world’s three largest agencies (Fitch, Moody's, S&P) had been penalised, despite accusations of inflating the ratings of bonds secured by mortgages during the 2008 crisis.